By idanwin, January 23, 2014 in Eyecandy, custom projects and misc. Source: WikipediaCrucifixion was used among the Seleucids, Carthaginians, and Romans from about the 6th century BC to the 4th century AD. In the year 337, Emperor Constantine I abolished it in the Roman Empire out of veneration for Jesus, the most famous victim of crucifixion. It was also used as a form of execution in Japan for criminals, inflicted also on some Christians. 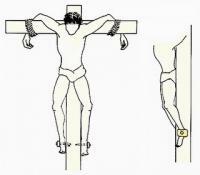 Another technique, although it is argued that this might not actually have been used, and that the deformations were simply the result of contortion before or after crucifixion. Crucifixion (or impalement), in one form or another, was used by Persians, Carthaginians, Macedonians, and Romans. Death was often hastened. "The attending Roman guards could only leave the site after the victim had died, and were known to precipitate death by means of deliberate fracturing of the tibia and/or fibula, spear stab wounds into the heart, sharp blows to the front of the chest, or a smoking fire built at the foot of the cross to asphyxiate the victim. Alexander the Great is reputed to have crucified 2000 survivors from his siege of the Phoenician city of Tyre, as well as the doctor who unsuccessfully treated Alexander's friend Hephaestion. Some historians have also conjectured that Alexander crucified Callisthenes, his official historian and biographer, for objecting to Alexander's adoption of the Persian ceremony of royal adoration. Crucifixion was used for slaves, pirates, and enemies of the state. It was considered a most shameful and disgraceful way to die. Condemned Roman citizens were usually exempt from crucifixion except for major crimes against the state, such as high treason. Notorious mass crucifixions followed the Third Servile War in 73–71 BC (the slave rebellion under Spartacus), other Roman civil wars in the 2nd and 1st centuries BC, and the Destruction of Jerusalem in 70 AD. 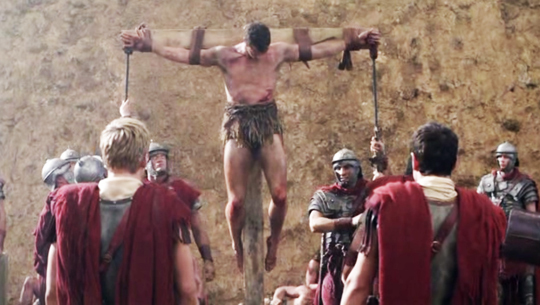 To frighten other slaves from revolting, Crassus crucified 6,000 of Spartacus' men along theAppian Way from Capua to Rome. Josephus tells a story of the Romans crucifying people along the walls of Jerusalem. He also says that the Roman soldiers would amuse themselves by crucifying criminals in different positions. In Roman-style crucifixion, the condemned could take up to a few days to die. The dead body was left up for vultures and other birds to consume. A cruel prelude was occasionally scourging, which would cause the condemned to lose a large amount of blood, and approach a state of shock. The convict then usually had to carry the horizontal beam (patibulum in Latin) to the place of execution, but not necessarily the whole cross.Crucifixion was typically carried out by specialized teams, consisting of a commanding centurion and four soldiers. When it was done in an established place of execution, the vertical beam (stipes) could even be permanently embedded in the ground. The condemned was usually stripped naked—all the New Testament gospels describe soldiers gambling for the robes of Jesus. The Cross of Tau, named after the Greek letter it resembles, is a form of the Christian cross symbol. It is also variously St. Anthony's Cross, Old Testament Cross, Anticipatory Cross, Cross Commissee, Egyptian Cross, Advent Cross, Croce taumata, Saint Francis's Cross, Crux Commissa. The shape of the letter tau or T was interpreted as representing a crucifix from antiquity. The staurogram, from Greek ΣTAΥPOΣ "cross", was a tau-rho ligature used to abbreviate the Greek word for cross in very early New Testament manuscripts such as P66, P45 and P75. The tau was also considered a symbol of salvation due to the identification of the tau with the sign which in Ezechiel 9:4 was marked on the forehead of the saved ones (וְהִתְוִיתָ תָּו עַל־מִצְחֹות הָאֲנָשִׁים "set a mark (tav; after the Phoenician cross-shape ) on the forehead of the men"), or due to the tau-shaped outstretched hands of Moses inExodus 17:11. "literally cross, an instrument of capital punishment, an upright pointed stake, often with a crossbeam above it, or intersected by a crossbeam (MT 27.32); (2) by metonymy, as the means of atonement punishment of the cross, crucifixion (PH 2.8); as a religious technical term representing the significance of the atoning death of Jesus in the Christian religion cross (1C 1.18); metaphorically, the dedication of life and the self-denial that a believer must be prepared to take on himself in following Christ (LU 14.27)"
There is no use of the word "tree" (δένδρα "dendra") in reference to the cross. If that is so, then why do some Bibles translate it into the word "tree" when referencing Jesus' crucifixion? For that, let's look at a third word. Sometimes the Greek word for wood is used of the cross. The word ξύλον "wood" occurs a total of 20 times in the New Testament. The Latin Cross, or Crux Immissa, is a type of the cross in which the vertical beam, or stipe, sticks above the crossbeam. It is also referred to as "Crux Capitata" which translates into "cross with a head." In Christianity this cross reminds us of the crucifixion of Jesus Christ as it is said by this instrument he died upon. This cross was not widely used during the first two centuries of Christianity as many followers were reluctant to use it as an icon as they saw it as the gruesome method by which the Savior was slain as well some early church leaders condemned its use due to its pagan origins. It wouldn't be until around the 4th century that the cross would become more and more used over the previously used Lamb and Fish (Ichthys). For centuries the Latin Cross was also used as the basic floor plan of churches and cathedrals. The Latin Cross is also seen outside of Christian sects and has been found in Etruscan, Tiryns, Mycenaean, and Cretan cultures. The Greek Cross, (also known as Crux Immissa Quadrata or Cross of the Earth) is similar to the Latin Cross except that all four arms are of equal length. It is said this is the most ancient of the cross symbols used and with many interpretations that was used around the world. St. Andrew's Cross, or Crux Decussata, is in the form of a diagonal cross (like the letter X). This cross also resembles the Greek letter Chi which is represented as 'X' which is one of the symbols Constantine saw in a dream which led him to victory against Maxentius at the battle of Saxa Rubra, and which led Constantine to his legendary conversion to Christianity. This cross is named after Saint Andrew as it is said that he was martyred on such a cross. This design is also referred to as a saltire since the intersecting lines do not meet at a 90° angles. The Crux Simplex or Stiper, being a simple upright post, does not have the transverse beam found on other forms. The ancient Greek word for stake is stauros (n.) andstauroo (v). This simple post was common for crucifixions until the Phoenicians added a cross beam. Historians and etymologists have debated whether the scaffold in early Scriptures meant Jesus was executed on a Stipe simple upright post, or a post with a cross beam (either a ✞ shaped Latin Cross, a 'Y' shaped Forked Cross, an 'X' shaped St. Andrew's Cross or a 'T' shaped Tau Cross). The common belief is that it was not a simple upright post, but the distinction is nowhere nearly as important as the reason why Jesus was executed. The Bible says that Jesus was hung on a tree1. 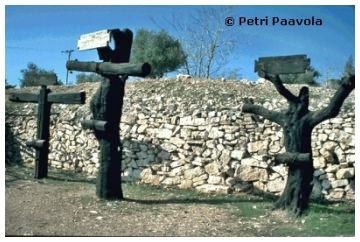 Whether it was an actual rooted tree or an upright wooden post set into the ground (see Broken Cross), the common consensus is that a transverse beam (patibulum) was then added. 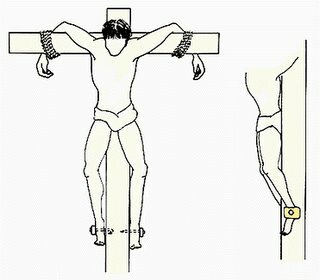 A usual crucifixion method was to bind the condemned person's wrists to a beam and then attach that beam to a tree or stipe, thereby forming a cross (crux composita or crux acuta). The Greeks apparently used the word 'stauros' to represent a wide range of wooden structures used for executions, but Jehovah's Witnesses and a few others interpret the word to mean Jesus was executed on a post without a patibulum. 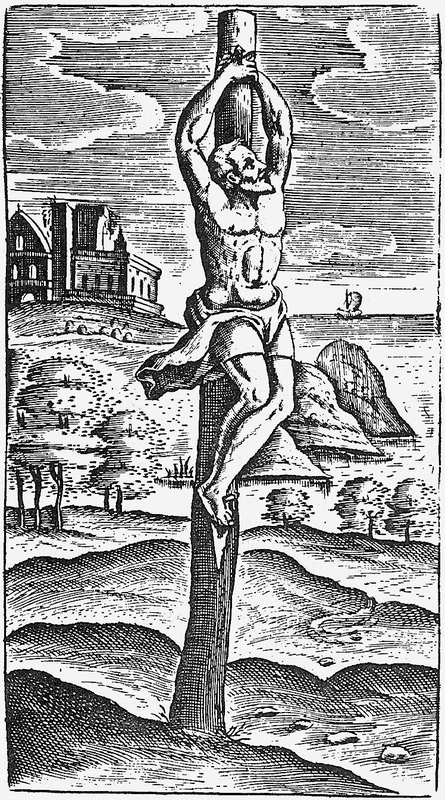 The Furka Cross is referred to as the thieves or robbers cross as it is believed that in Roman controlled Judea criminals were crucified on a forked cross, but such crosses would be costly to build so it is unlikely it was actually used. The three arms of this cross remind us of the Holy Trinity and the attributes of God: omniscience, omnipotence, and omnipresence. This forked cross also resembles the Greek letter Upsilon which capitalized looks just like the English letter "Y". The Greek Upsilon is often called Pythagoras' letter as it is said he used it as a symbol to demonstrate human life where the two horns of the letter represent the two paths of vice and virtue. We all travel down a road in life, but it is not always the easy road and we come to a split into the road where we must choose where we will take our life. Will it be down the road of virtue or the one to ruin? These are just some of the variations of the four basic types of crosses, but there are many more like the cross used in the Order of Christ, Bolnisi Cross of Georgia, Florian Cross, Pisan Cross, Occitan Cross, Calvary Cross, Canterbury Cross, and the Cross of St. Thomas. The cross has been used, adapted, and varied since the beginning of time and like all symbols have been used or and were interpreted for just as many reasons as there are types and variations of crosses. some additional stuff. 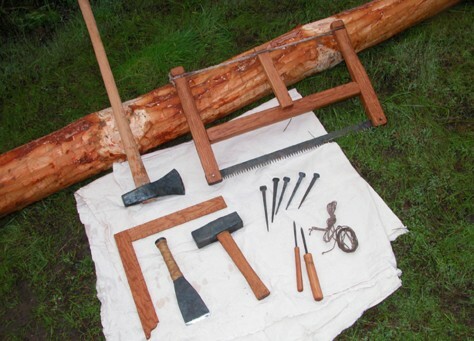 tools for create a cross. This type of 0 A.D. structure had actually already crossed my mind recently. 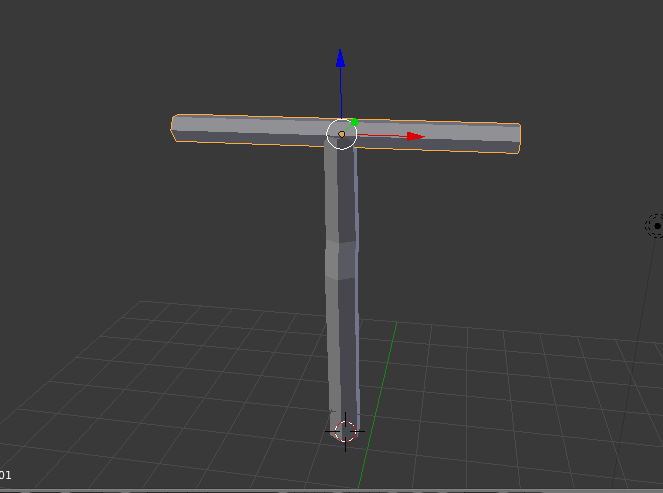 My opinion is that the crux commissa variation, the one shaped like a capital T (also called a Tau cross, after the Greek letter), should be the one featured in the scenario editor, since from what I've read, the most common, practical, and efficient type of Roman cross (and hence the type that Christ was probably crucified on) was the crux commissa. Are you working on this one idanwin? All take one. XD how many ploys can have, I want to try one. Yeah understand, but how many segments, I want give to them some distortion. I don't like perfect crosses. Ok other question how I can generate the texture I mean a .uv map and later working in that in Photoshop and then but over the model. Is thst way how Idanwin and me working in our project. ok rings with 6 vertices cross. The intersection is too clean in the image above, underneath it's good I think. Do you want me to make the uv ? Yeah please but first I need if all geometry and all that stuff is right. And I need join or unit the patibulum with vertical log. I actually rather like your first version. Since this is eye candy and won't be seen very often, the poly count isn't really important. 2 and 3 are ready I'll give to Stan to help me with textures the other crosses you can take one. The 2nd is more small/short than 3th. Stan now I was Add the Obj files. Ok , now i need some help with texturing or generating a map to can do it with Photoshop. As you know in web are many tutorials but I don't know what are fit with our standards. - One flat UV to fit your creation in photoshop. I reunited both uvs in one so you have one texture for both, that way the engine won't have to load two big textures. (Resolution is 1024x1024) If someone wants to help Lion you can here is an inverted uv the other has transparency, so you can directly add layers on it. Thank you. 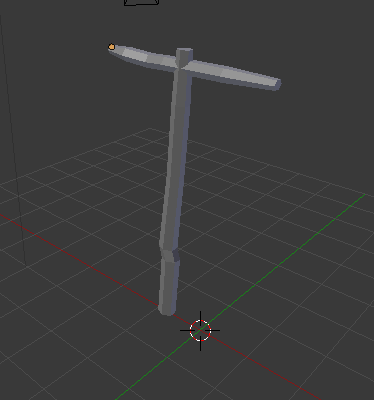 When I finish to working can be great someone or you put them in to the model, for now I'm learning to model and I'm no trying to put textures into a model. 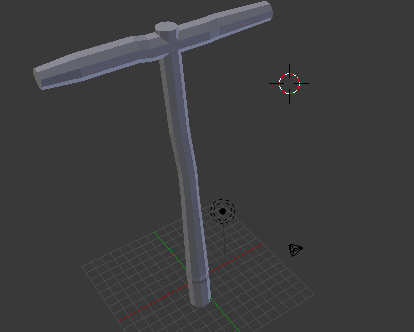 Actually you can't do it that way in blender, its way more tricky. 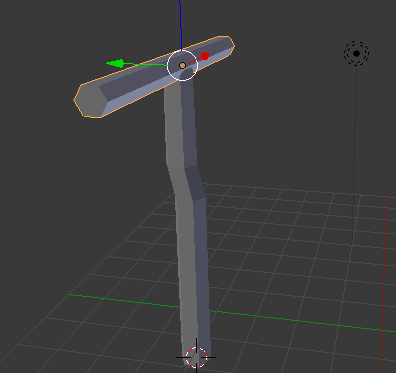 Took me like ten minutes to do it in max, would have been double time in Blender. you can do it this with a screen capture video and upload to YouTube, audio it's not necessary ... Im working with textures but I have some questions about some pieces in main body. 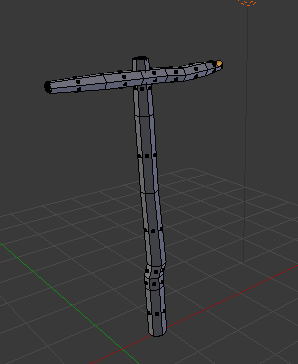 Be patient I need find some textures for rounded tau cross. And last question, it's convenient if I split them? because in there are textures for both crosses.